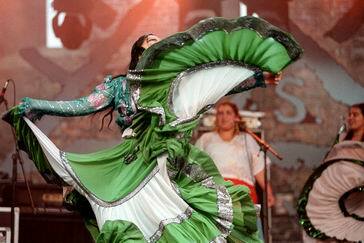 SONG OF SONGS FESTIVAL - is the largest of a kind in Central and Eastern Europe. 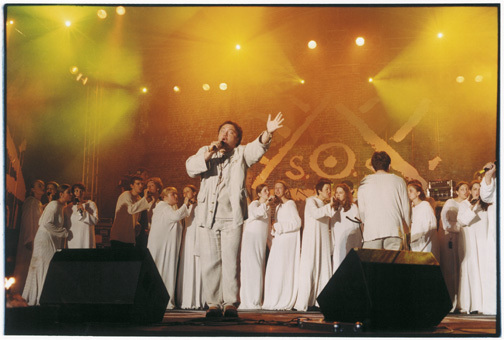 It is a presentation of professional artists performing Christian contemporary, music, directed mainly to young people. 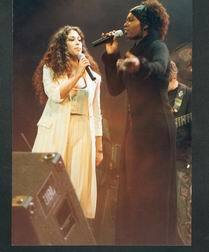 The artists' inspiration has its roots in the Good News. Their endeavor is a personal testimony of faith. It is no coincidence that such a meeting is taking place in Torun, the birthplace of Nicolaus Copernicus. An ecumenical atmosphere has always been present here. 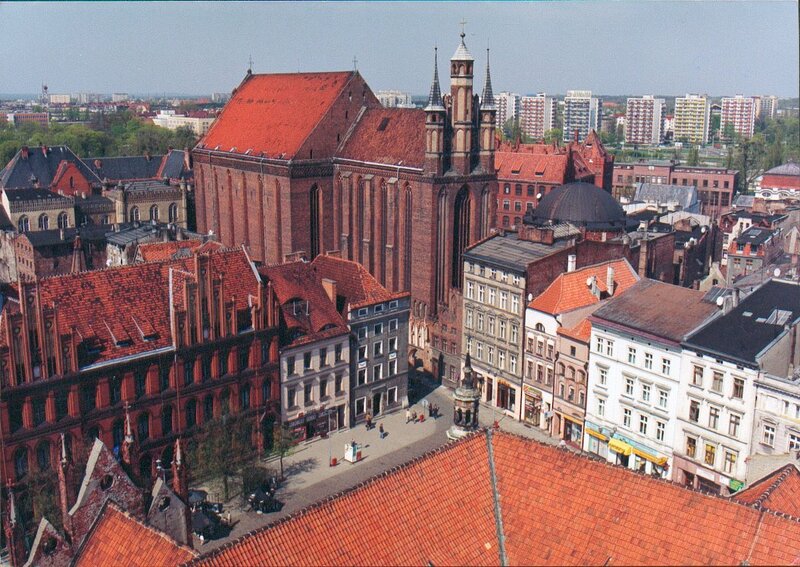 We are proud that it was Torun where the historical Colloquium Charitativum of 1645 year took place in. That "brotherly meeting" - as they called it once - brought the first exchange ever of ideas between catholic and protestant representatives. 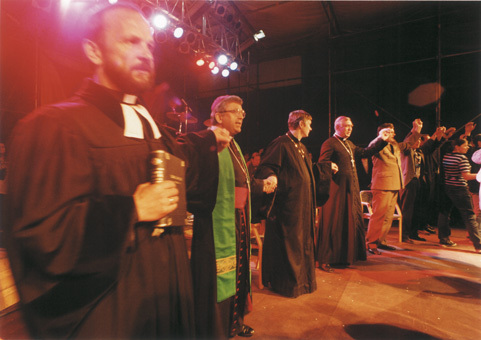 The exchange was an attempt to achieve religious peace and acceptance among divided churches. 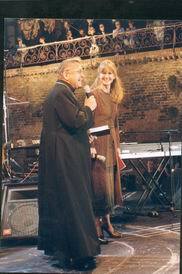 The presenters of the Festival are drawing on the ecumenical spirit already present and felt as a unique charisma of the location. 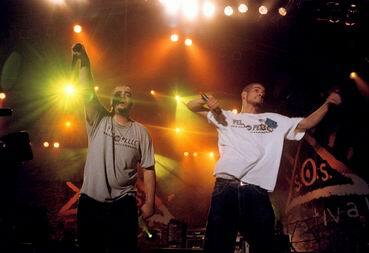 From the very beginning the festival turned out to be an international, big event. We invited popular Polish Christian musicians, as well as guests from Germany, Great Britain and the USA. 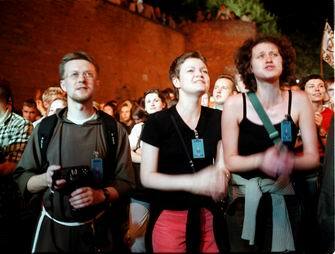 An important part of the Festival was an ecumenical worship led by the leaders of the local Christian churches. 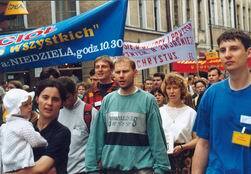 The second Festival followed on the enthusiastic response to John Paul II's visit to Poland. Upon the suggestion of His Excellency, Bishop John Chrapek RC, spiritual leader of our Festival, we gathered all representatives of the service groups for a formal recognition and expression of gratitude for their devoted work and contribution to the success of the pilgrimage. 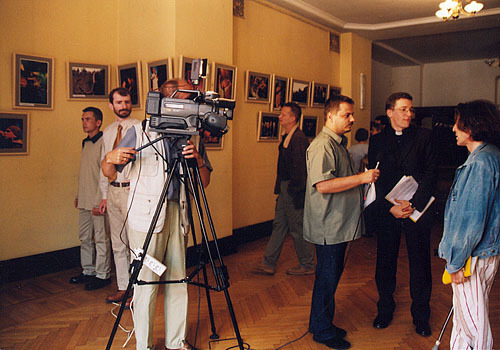 Bishop John Chrapek expressed his gratitude to the government and to Polish TV representatives. 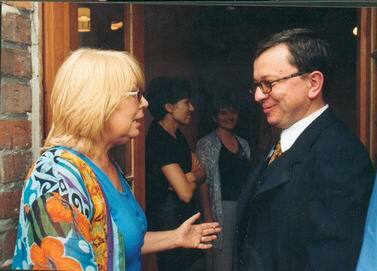 One such person was Grazyna Torbicka, who hosted special TV program during the visit of the Pope. 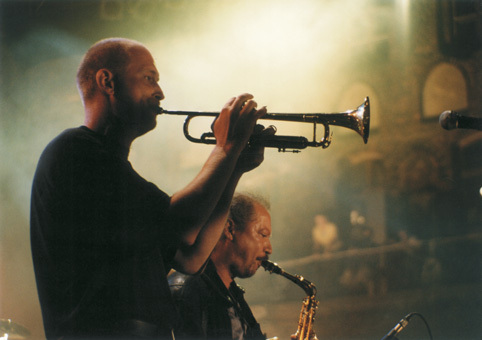 During that Festival, Brother Marek of Taize Community (France) received a special Tuba Dei Award for institutions, communities and individuals particularly involved in promoting ecumenical and Christian music among youth. The TUBA DEI award was presented Brother Marek by professor Alicja Grzeskowiak, the Chairperson of the Senate of The Republic of Poland, who was a wholehearted supporter of our Festival. 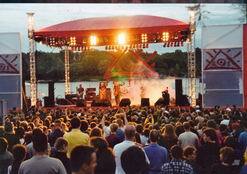 That year we set up two stages: the main stage for professionals and the second stage for beginning musicians. The latter was set at the Old Town Market Square. Public TV has been a part of all of our Festivals. Thanks to Channel 2 (of the Polish Television), our Festival is now known to millions of viewers in Poland, and throughout the whole world because of TV POLONIA sattelite channel. On the picture: Nina Terentiew, Director of the TVP2 Channel in conversation with Wojciech Zagula, the Director of the Festival. 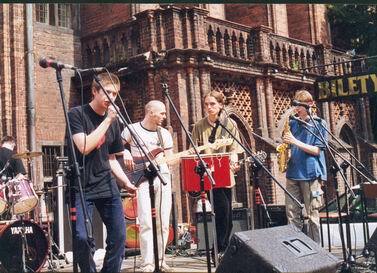 Main stage concert included performances of Polish and several foreign artists from Great Britain, Finland, Germany, Russia, Belarus and Slovakia. The Festival participants together with the people of the city during the "March for Jesus" on the streets of the Old Town of Torun. 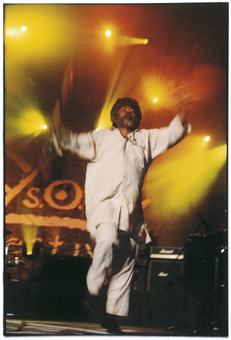 The third Festival was also transmitted on the radio and internet. 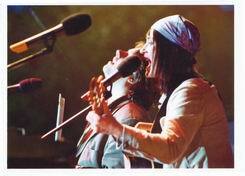 Thanks to the internet, numerous people all over the world could follow the concerts. As an affilliated event we had arranged workshops for young European artists, led by the leaders of Chemin Neuf Choir of France. 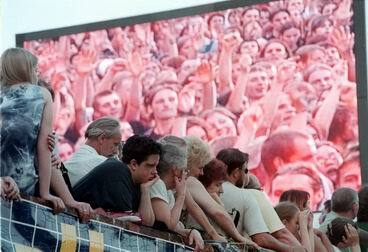 The number of spectators exceeded ten thousand. 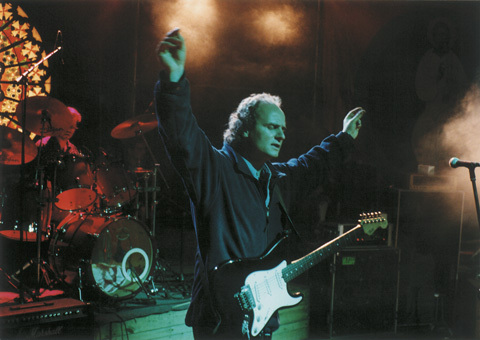 Because of that we had installed a top class LCD screen allowing them to follow action at the stage better than ever. 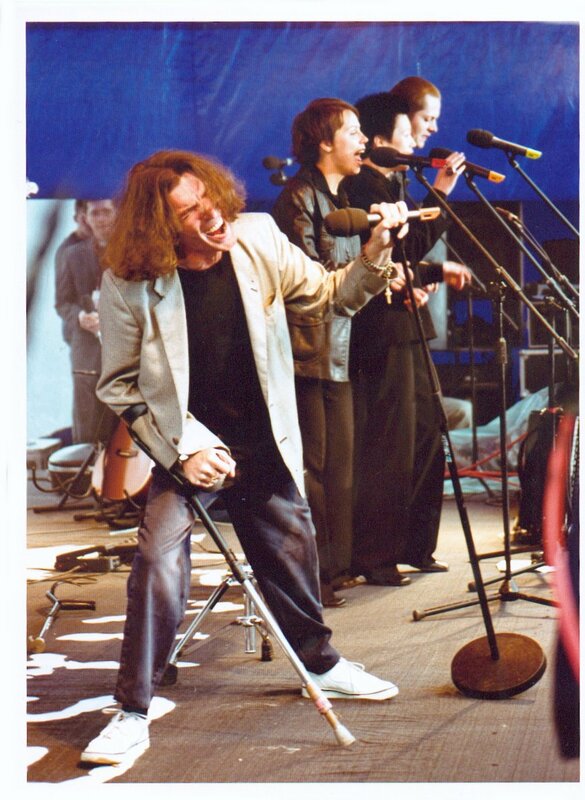 Mietek Szczesniak - without doubt, one of the most popular Polish singers was celebrating 15 years of his musical career. The applause was so overwhelming and endless.... Mietek just couldn't stop it. Our Festival attracts youngsters from all the country. Some of the spectators come form abroad. For those who stayed home, the internet gave a chance to watch the action at the stage. Many of them had sent notes to the guest book. 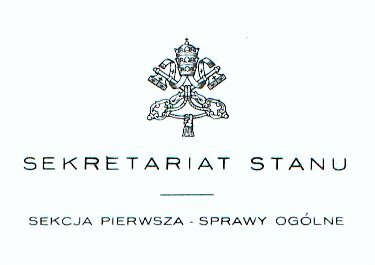 Just a few days before the Festival, our Bishop His Excellency Andrzej Suski received a personal letter from the Holy Father John Paul II greeting all leaders supporting the Festival, as well as organizers, artists and all taking part in this event in any way. 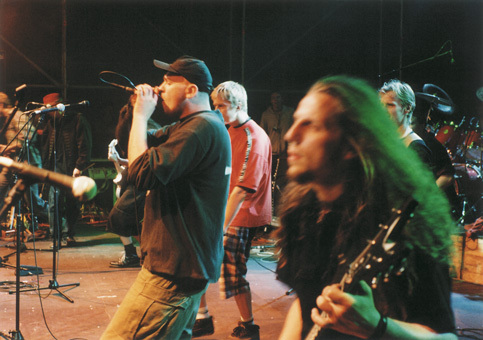 At the stage we could see popular Polish artists and musicians joined with musicians from Peru, Lithuania, Czech Republic, Slovakia, Germany and the USA. 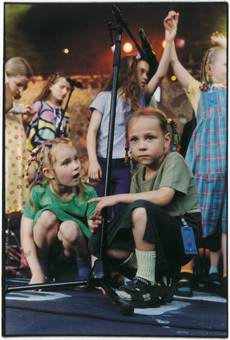 Parents and their children came to see and sing along with ARKA NOEGO - a truly unique ensemble at the Polish Christian music scene. 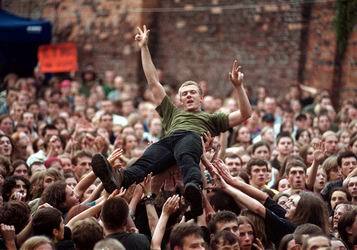 Millions of copies of records have been sold; millions of fans everywhere in Poland. 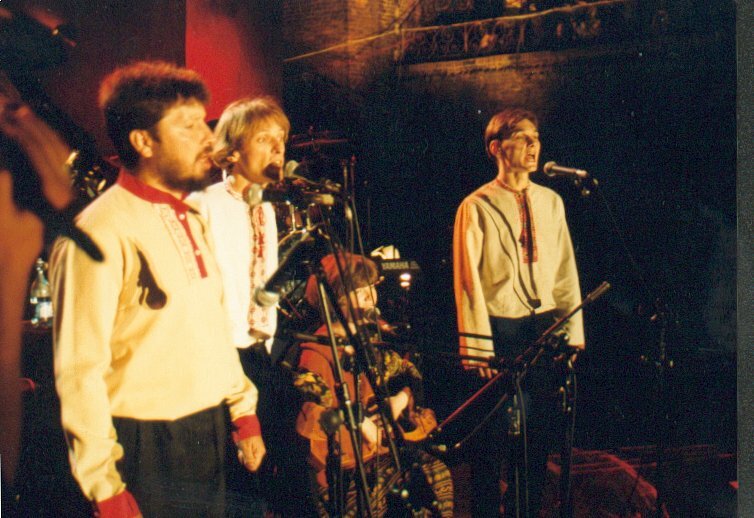 Their enthusiastic and joyful songs are known to almost all of the Poles. 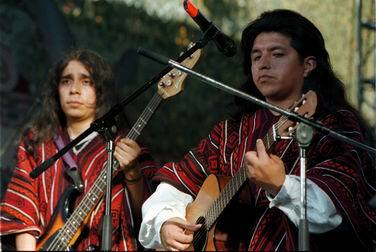 LEYENDA - an ethnic group from Peru. 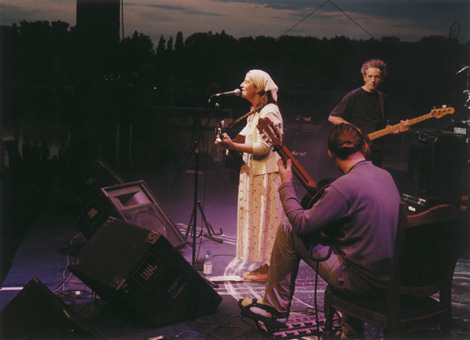 Indian musicians easily conquered hearts of the Polish audience. Also warmly welcomed was MRODO DZIWEL joined by Polish Rom musicians. 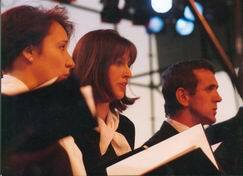 Original music spectacle performed by the supergoup Trzecia Godzina Dnia, created by protestant and catholic artists. The fifth Festival was set up at the beautiful terrace stretching along the Old Town city walls on the bank of the river Wisla. 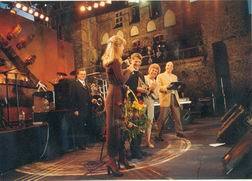 Over 200 artists from Poland and other countries performed on stage. Our star band this year was IONA (GB). Roberto Bignoli of Milano, Italy - almost all the audience sang along with him... in Italian. It was a short Italian course passed positively by all. 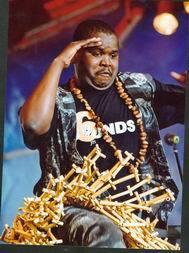 The Sakala Brothers arrived from Zambia and had pushed the enchanted Polish audience into an African style dance. 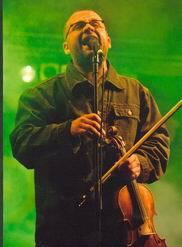 Tomek Kaminski - from Torun, a violinist, vocalist and composer is a permanent guest of our Festival. Earlier this year he represented our country at the World Youth Day in Toronto. 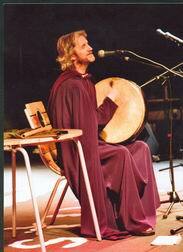 Celtic moods and meditation were brought by Seamus Byrne from Ireland, performing as Manach. 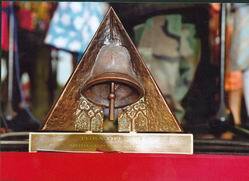 Design and name are taken from the medieval bell of the Torun cathedral church. This time we came with the idea that the award be given to the outstanding artists of the country's Christian scene. We hope to establish it as the most important one in Poland. The Committee selecting the winners consists of the best Polish musical professionals, publishers, music managers, and mass media experts. 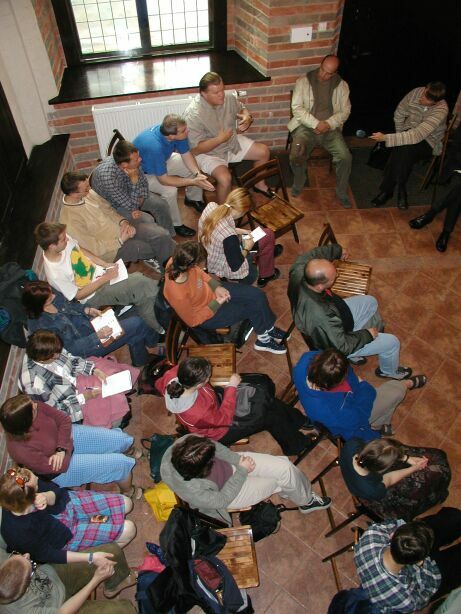 Our festival offers not only concerts but also affiliated events: international symposium for Christian music, music workshops for amateur musicians as well as exhibitions and religious meetings. 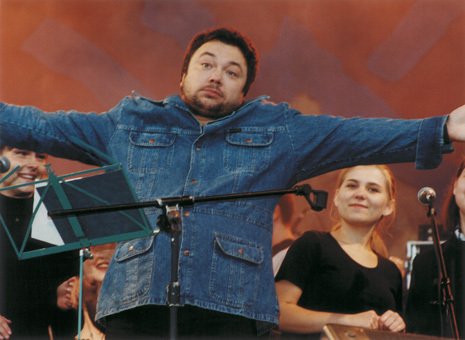 This year's meetings were held under the title: Who needs Christian music". At the Culture Centre Dwor Artusa" we also opened an exhibition of photographs taken during the previous 4 editions of the festival. On the second day of the Festival we took part in a Holy Mass commemorating His Excellency Bishop John Chrapek, who died in a car accident. 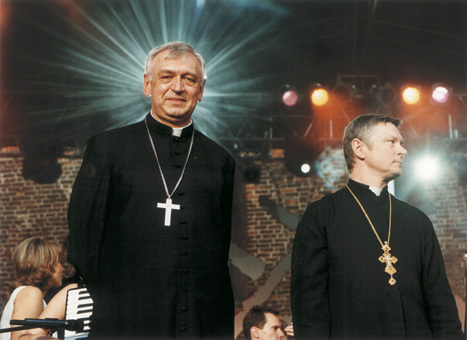 Bishop Chrapek was one of the spiritual "fathers" of the Festival. Over 40 people of various professions took part in preparation of the Festival. Among others were: members of the Society, music, promotion and marketing experts. We couldn't manage though without the help of numerous volunteers, young dedicating their free time in order to help in production of the event. 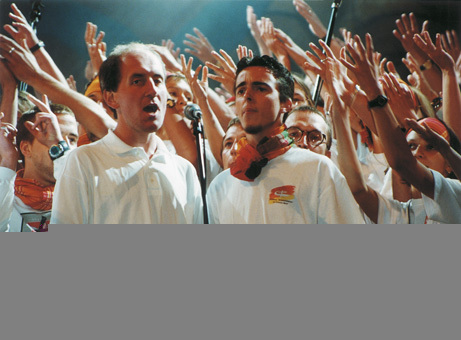 Visual Ministry Choir (GB), Sal Solo (USA), Iona (GB), Manach (Ireland), Ralph van Mannen (the Netherlands), Split Level (GB), Roberto Bignoli (Italy), Win Znaje (Ukraine), W4C (Germany), Ufermann (Germany), Collegium SDS (Slovakia), Michael Black (USA), City Choir of Mohyleva (Belarus), Nina Astrom (Finland), The Electrics (GB), Jason Carter (GB), The Sakala Brothers (Zambia), Imia Riek (Russia), Chemin Neuf -choir (France), Selah (France), Enter-TOP (Lithuania), Leyenda (Peru). 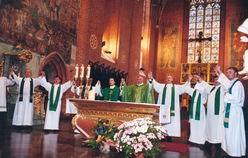 Stowarzyszenie Ekumeniczne JEDEN (Ecumenical Society "Jeden") since 1998.